Enrique Jose Mayo de Bello, M.D. Dr. Enrique Jose Mayo de Bello received his Doctor of Medicine from the Panama School of Medicine. He then continued his training by completing his residency in Family Medicine at the University of Miami in 1997 and his residency in Sports Medicine at the Halifax Medical Center in Florida in 1999. 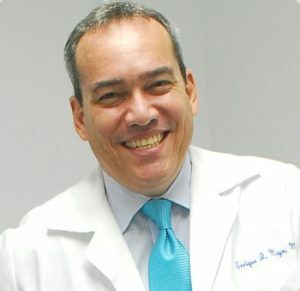 In addition to managing a private practice in Family and Sports Medicine, Dr. Mayo de Bello is; a Professor of Sports Medicine at UDELAS University in Panama City, Panama, Honorary Professor at the University of Panama School of Medicine and Medical Director at the Cardiopulmonary Rehabilitation Center and Metabolic Studies in Panama City. Dr. Enrique Jose Mayo de Bello is currently seeing patients at the Anti-Aging and Wellness Medical clinic in Panama City, Panama. 2016 to present: CSS Medical Specialist in Family Medicine assigned to the National Center for Health Training and Simulation (MINSA/CSS Project). Senacyt, Ciudad del Saber.